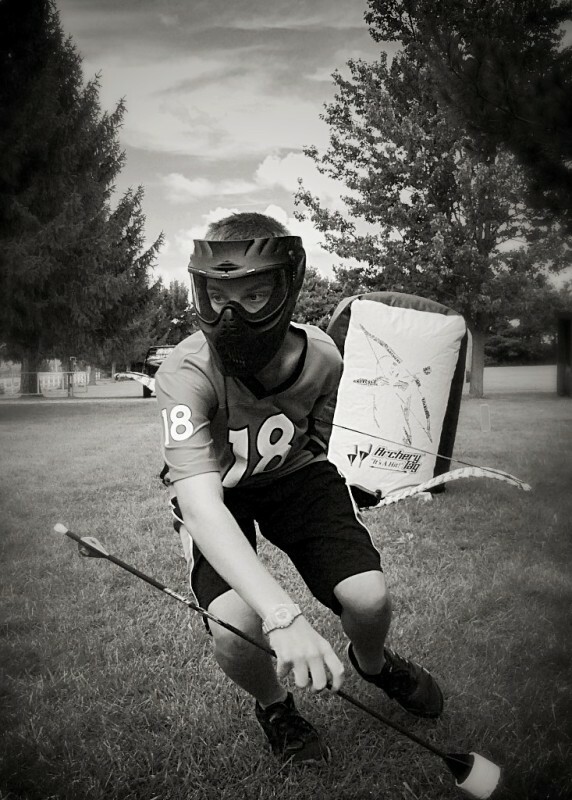 Archery tag is still relatively new to the public eye and extremely fun to play. These games can be played at various intensities ranging from "let's try it out, but I don't want to run or sweat" to "Katnis sprinting in to a ring of death and ultimately shattering your opponents dreams". It's up to you how you choose to play. Can be competitive. Bubbles Games, mostly known for Bubble Soccer, is a very high entertainment activity. The crowd will most certainly be oooo-ing, HOLY COW-ing and OMG-ing over the action. This game will require a bit of athleticism to be able to run around the field, bump into opponents, and get up once fallen down. Typically when playing soccer, the first objective is to knock you opponent out of the way, then try to score the goal. It's more fun this way. But don't let the bubbles stop at soccer, you can incorporate many games involving the bubbles, the most popular being free for all mode. NEW bubble sizes!!! We now carry two different bubble sizes; Youth (ages 7-11) and Adult (ages 12 +). It's actually more of a size requirement, but age is a general indicator. Refer to our FAQ page for more info. Want to get a few youth bubbles with your Adult bubble activity rental (or visa versa)? You'll have the option in our online reservations to add 2 of the alternate size bubbles to your event. Hoverball Archery Booth is a big attraction where ever it stands. Expect lines to play when this is set up at your event. This game doesn't require any athleticism, but is guarunteed to be worth the experience. Take aim a floating balls to test your abilities. Interested in prize packages for this activity at your event? Let us know and we'll build one for you or you may use your own swag or merchandise. If you would like to play at night, an outdoor field will need lighting. Fast paced, but great for newer players or those who are "paying per game." When a player is hit with an arrow, they remain in the game and continue to play. Score as many points as possible (typically 5 to 10 minutes). Each player must track their own points using the Honor System. A high risk game designed for more experienced players. When a player is hit with an arrow, they are out of the game until one of their teammates catches an arrow or knocks out one of the spots from the opposing team's 5-spot target. The team with the most players and target spots remaining at the end of a timed game wins. If a team knocks out all 5 spots, that team automatically wins. (typically 5 to 10 minutes). No bubble zone in front of the goals (10ft). Knock down your opponent, then take the ball to score. One player starts as a shark, on one side of the field. The shark's objective is to knock over incoming minnows. Minnows start on the opposite side of the field as the shark. The minnows objective is to make it to the other side without hitting the ground or going out of bounds. If a minnow hits the ground or goes out of bounds, they become a shark. 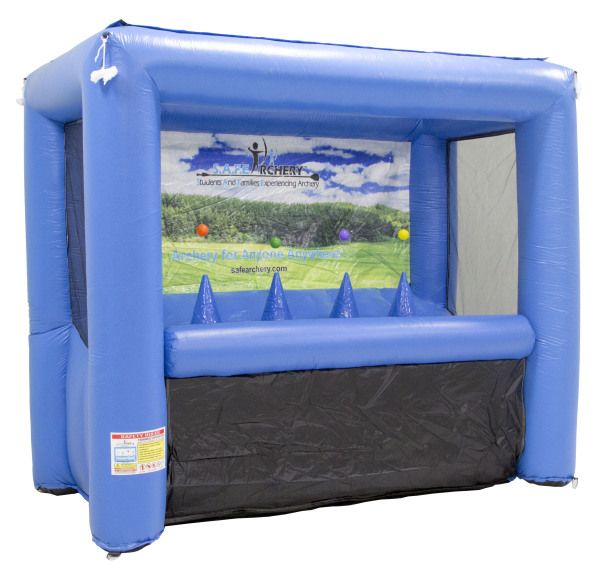 This inflatable booth features 4 floating balls that you and a friend can take aim at using the SAFE arrows [just like Archery Tag®]. Challenge yourself at various distances with moving targets. This is a great activity for Promotions, Birthday Parties, Festivals, and more. Ask about prize packages if you want to put an impression on your event! The booth stands 10' wide x 8' tall x 5' deep. 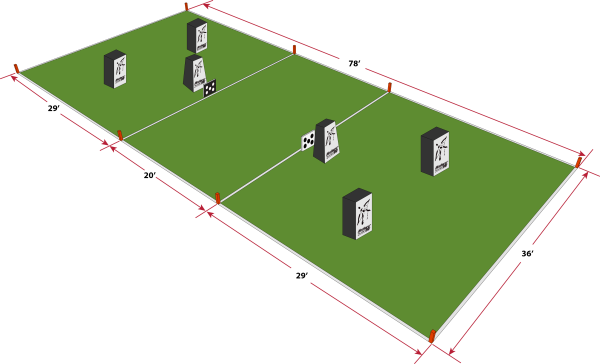 It requires constant power (standard 110v) to operate and about 15-20' in front for a shooting lane. Safety is of the utmost importance and must be maintained at all times. Inform staff if you have any preexisting conditions that might affect you or others. No food, alcohol, tobacco, or controlled substances on the marked playing field. Water (or the like) is recommended for hydration. No cleats or spiked shoes. Closed toe, tennis shoes are required. When the referee blows the whistle, all play must stop. You must remain in the bubble while play is ongoing. Remove yourself from the field if you need to exit during play. All straps must be secured and tight. If you have issues, remove yourself from the field and notify a ref. 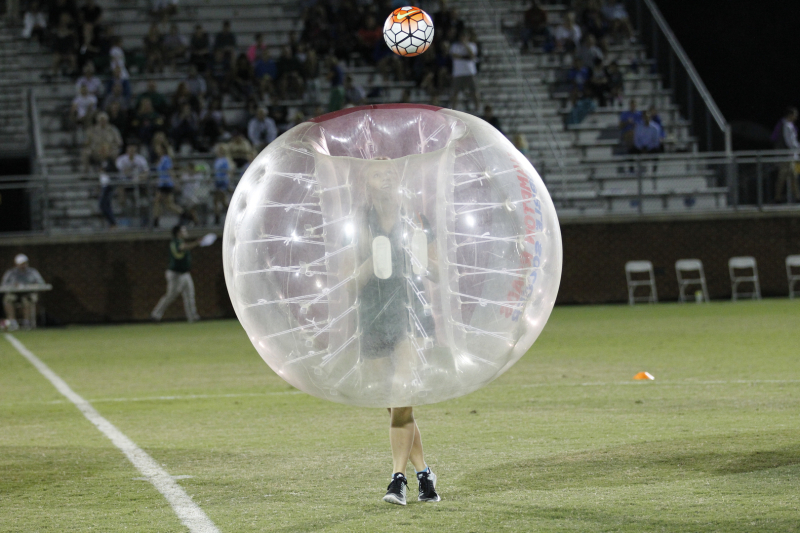 If your bubble loses any air, remove yourself from the field and notify a ref. No blindsided hits, No head dive tackles, and No kicking other people. ​Only bubble on bubble contact is allowed. Do not bump anyone that is not in a bubble. Cleats, glasses and sunglasses, jewelry, necklaces, watches, rings, piercings, hair barrettes, bobby pins, belts, chewing gum or anything that is sharp are not permitted. Sports eye goggles are permitted. ​Masks must be worn at all times during play and/or when on the field. NEVER dry fire a bow (pulling the string without an arrow). Do not shoot any arrows with loose or missing foam tips. Do not use equipment to deflect, hit or deliberately contact incoming arrows. Swinging equipment at other objects can damage equipment and cause injuries. Avoid contact with any hard surface. Respect a safety zone of 20 feet from an opponent. Do not shoot at anyone that is 20 feet or closer, that is not on the field in play, or that is not wearing a mask. Make sure that your bow limbs are secure and your bow string is in the grooves on the top and bottom limbs. Always hold the bow by the riser (handle), NOT the limbs or bow string. Swords, shields, and other 3rd party products are not allowed. Do not move or lean on the bunkers.